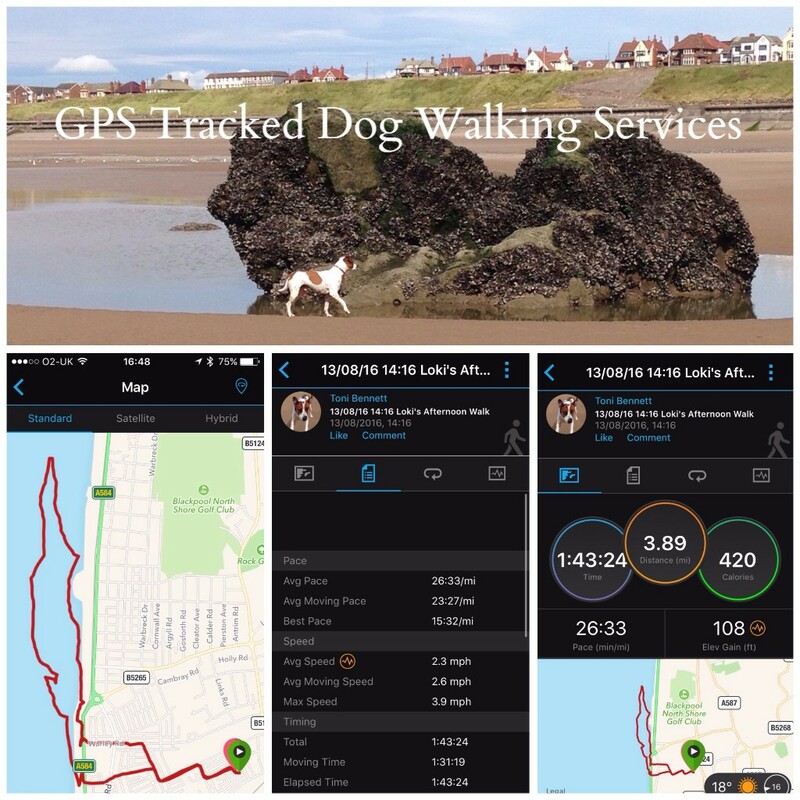 GPS Tracked Dog Walking Services as Standard Fylde Pet Care's Dog Walkers GPS track their dog walks. Pet owners are sent details of the route, duration and distance after each dog walk. At Fylde Pet Care your pets are our priority. We offer a range of dog walking services for individual pet owners. Only dogs that live together walk together. At Fylde Pet Care we like to form a bond with dogs we walk. We are able to do this by walking them on a one-to-one household basis only. All our dog walkers use technology to GPS track each dog walk. The information captured is communicated to you. You can see precisely what time the dog walker arrived and the route your dog walked along with the total distance and duration of the dog walk. We take pictures of your pets whilst they are in our company and also take short video clips. These are made available to you on the day of the walk. Our dog walkers also build in training into their dog walks at no extra charge. For example, we can train your dog to heel, come or fetch. Or, your dog may be people, traffic or dog reactive. If that's the case, just let us know and we will work with your dog to overcome these issues and modify their behaviour for the better. We have even trained dogs not to chase after bicycles, birds, joggers and children on scooters. Whatever the training need let us know and we will make sure that we help to rid your dog of its undesired behaviour. Book a regular service with us and your first dog walk is free. We offer both adhoc dog walking (on an "as and when required" basis) and more regular dog walking services. Whatever your requirement, our services are tailor made to suit your needs and fit in with your schedule. We understand that some people are physically unable to give their dogs the exercise they need, whilst others have work or social commitments that they need to attend. Whatever the reason, we are here to help. 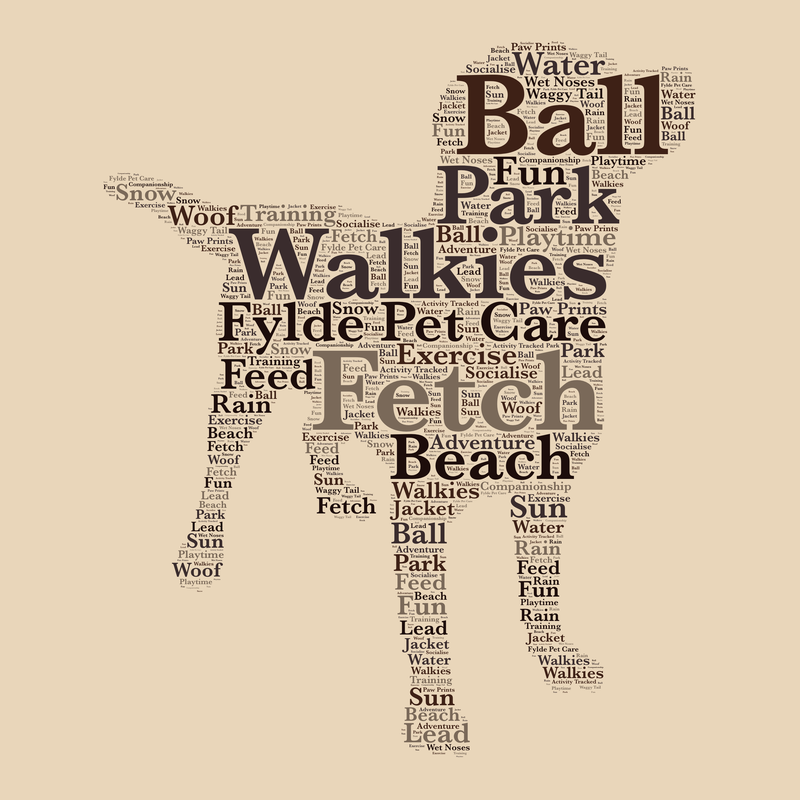 Our dog walkers operate along the Fylde coast and further afield. Coastal areas covered include Fleetwood, Rossall, Cleveleys, Bispham, Norcross, Blackpool, St. Annes, Lytham, Poulton, Stanah and Thornton. Inland areas currently serviced are Medlar-with-Wesham, Kirkham & Wesham and Warton. Why not contact us now on 07525 081948 for more information or to arrange a free, no obligation visit to meet your precious pets and discuss how we could help you to meet their needs. As we only walk solo dogs or dogs that live together we are happy to build training and behaviour modification into any dog walk. This includes dogs that are people, traffic or dog reactive as well as the more common recall and heel training problems that many owners encounter. Just let us know your requirements. If your puppy or older dog just needs a quick walk in order to relieve themselves then this service is for you. It is also ideal for first thing in the morning or last thing at night. We come to your house and walking from the house, take your dog out for a 20 minute walk. We always put down fresh water before leaving and we are happy to put food out if required. 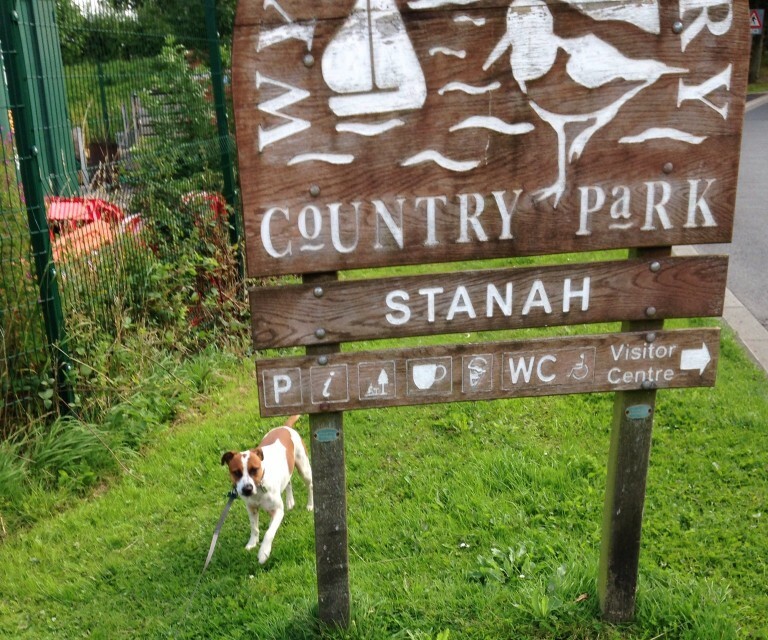 If you live close to a park or near to the prom then this could be the option for you paw pal. This service is also ideal for pets that get travel sick. We come to your house and walking from the house, take your dog out for a 30 minute or hour long walk. We always put down fresh water before leaving and we are happy to feed your pet if required. Does your pet suffer from any allergies? Loki (our dog) is allergic to something! He is walked along the lower promenade at Bispham as often as possible. With the breeze off the Irish Sea, the healing salty air and very little plant life on the cliffs, he has seen a vast improvement in his skin. Fylde Pet Care will transport your dog to the coast for a full 30 minute or hour long beach or prom walk before returning them home. Please note transportation costs will be applied to the cost of this walk. Do you like to spoil your dog? With lots of fabulous dog walking locations in and around Blackpool, Fylde Pet Care can give your dog a new adventure daily. We will transport them to Fairhaven Lake, Lytham Green, Marton Mere, Stanley Park, Devonshire Rock Gardens, Kingscote Park, The Beach, Bispham Cliffs, Wyre Country Park, Skippool, Ribby Hall, etc. and then give them a full 30 minute or hour long walk before bringing them back home. Please note transportation costs will be be applied to the cost of this walk. If for any reason you require a longer walk, our competitively priced hourly rate means it won't break the bank. Perhaps you have a hyperactive dog that needs wearing out once a day. Or you may have 2 dogs that need to be walked separately. Whatever the reason our Extended Walks option could be the service that best meets the needs of your pet pooches. If you would like your pet transported somewhere (as opposed to a walk from your home) we charge just 50p per mile plus £1 per 5 minutes of our driver's time. We GPS Track all mileage and send you details of the route, distance and duration after each walk. For example, a 10 minute 3 mile journey would cost £3.50. We only charge transportation when your pet is in our vehicle.